Senate Democrats are considering blocking any and all legislation that does not include reopening the government, in a move they hope will pressure Senate Majority Leader Mitch McConnell to permit a vote to reopen the government. Senate Democrats want Tuesday’s main focus to be on the government shutdown and are therefore considering blocking any legislation, unless it includes reopening the government. “Senate Democrats should block consideration of any bills unrelated to opening the government until Sen. Mitch McConnell and Senate Republicans show a vote on the bipartisan bills the House passed to open the government. Mitch, don’t delay. 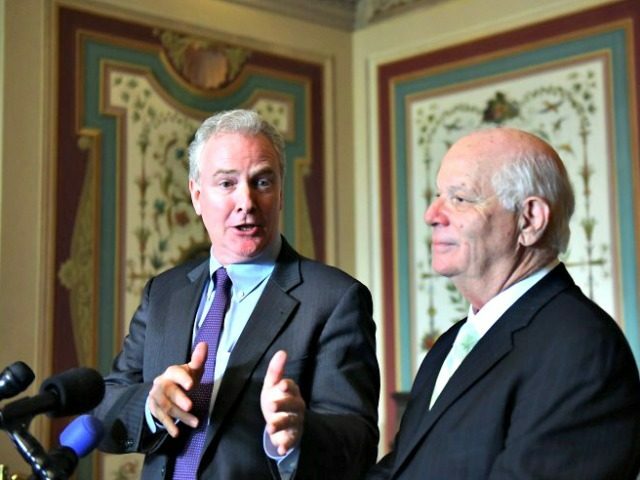 Lets vote!” said Chris Van Hollen, to which Democrat Sen. Ben Cardin agreed. Agreed. This isn’t business as usual. This is a crisis, a fundamental failure to govern, and Americans are suffering for it. The Senate is scheduled to vote on a motion to open a debate regarding the GOP’s proposed legislation on Strengthening America’s Security in the Middle East, which is aimed at bolstering the United States’ alliance with Israel, and sanctioning Syria’s dictatorship. Senate Democrats have been critical of the legislation, claiming that Senator Marco Rubio and other Republicans are violating the First Amendment rights of Americans by introducing efforts to counter the anti-Israel Boycott, Divestment and Sanctions (BDS) movement. Sen. Rubio, however, argued that Democrats remain defiant toward his proposed legislation, because “a significant [number] of Senate Democrats now support BDS,” and that leaders within the Democratic Party want to avoid a floor vote that would reveal their support for the BDS movement’s discriminatory economic warfare against Israel. Democrat Senator Brian Schatz agreed, stating that the senate should focus their efforts solely on reopening the government. Sen. Schatz also claimed that “people are suffering” because of the government shutdown, a claim that leaders in the Democratic Party, as well as the mainstream media, have been echoing in an effort to inculcate a sense of general anxiety among American citizens.